La vie Jaime : Going back to the Cuse? Going back to the Cuse? This weekend I'm going back to Syracuse for the weekend (Hopefully! The snowstorm is making plans a bit shaky...) to celebrate Amanda's 25th bday, try go to the big basketball game this weekend, eat all our fave foods, and pretend we're back in college. 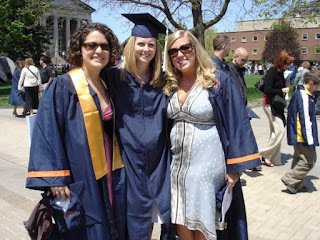 Here are some pics to share some of me at the Cuse, 2003-2007. 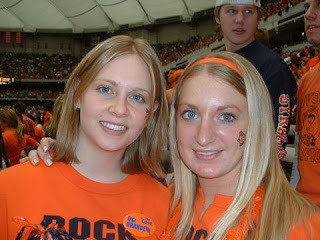 With my freshman year roommate- at the Dome freshman year, fall 2003. With my now roomie- sophomore year, fall 2004. First sorority formal- sophomore year, spring 2005. The start of junior year- fall 2005. First night back to campus- as seniors, Aug 2006. Sorority seniors at pref night- spring 2007. Jenny Penny and me back for homecoming- October 2007.
fingers crossed the weather doesn't stop us! Oh this made me miss college! Have a fun weekend. Great pictures! Hope you have an amazing weekend! Really fun pics, darling J! My hubs best dude moved to the 'cuse last year. It's cooooooold there no? This will be me pretty soon...college is the best!